Collection of 'Best Bedside Gadgets and Gear' from all over the world. 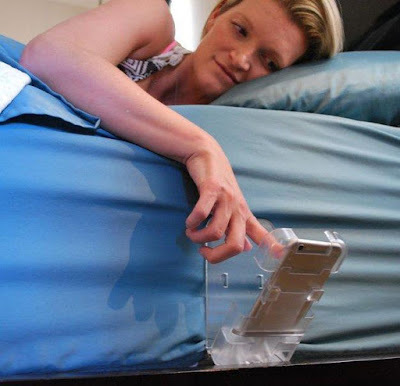 The Holding Cellphone Holder: The Holding Cellphone Holder is a simple device that gives you storage space for your smartphone. It comes with a built-in recharging cord holder, can hold any smartphone or baby monitor, and keeps your device within your reach. Buy Now: $20. Snuzpod 3-in-1 Bedside Crib: The Snuzpod is contemporary bedside cot, stand-alone crib and bassinet in one. It features see through zip down mesh wall, rocking stand, removable bassinet, hinged stand and more. It gives you easy access to your baby while ensuring that your baby is comfortably sleeping next to you in his own safe sleeping area. It's available in 4 colors, and is suitable for 0-6 months. Buy Now: $350. 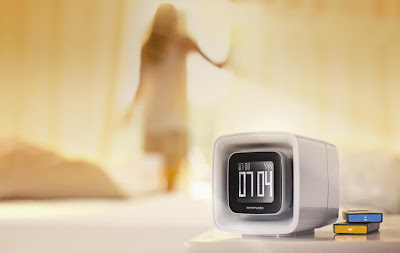 Olfactory Alarmclock: The olfactory alarmclock wakes you up using pleasant and enjoyable scents. You can choose from 7 scents: espresso, peppermint, seaside, and more. Buy Now: $109. 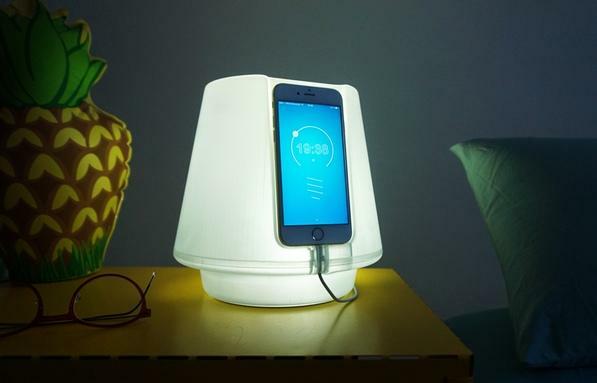 UpLamp: UpLamp turns your smartphone into gesture driven smart bedside lamp. 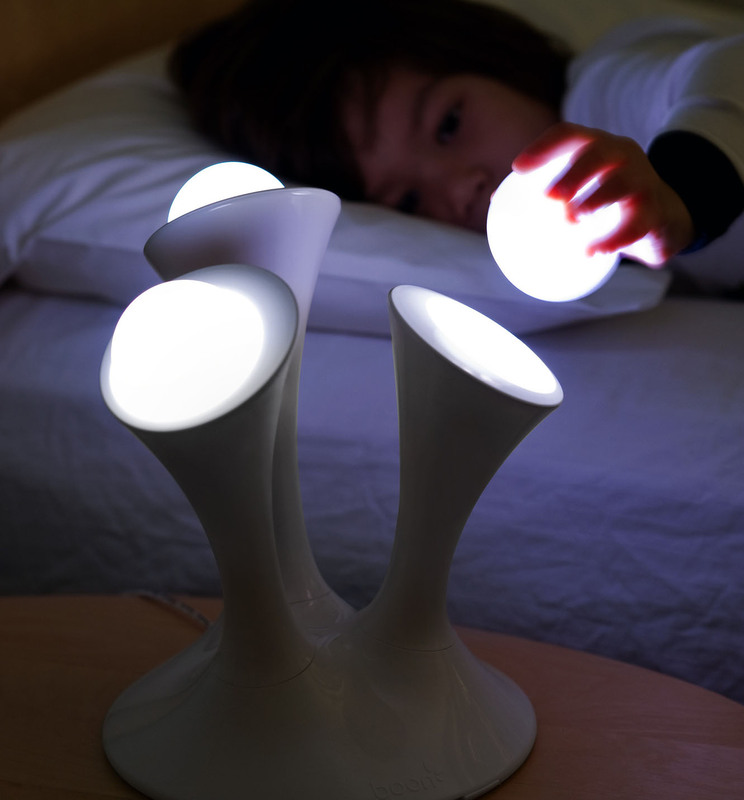 It can be turned on or off by clapping your hands, or by using its app, and wave to dim the light up and down. Reserve Now: About $ 54 (€49). 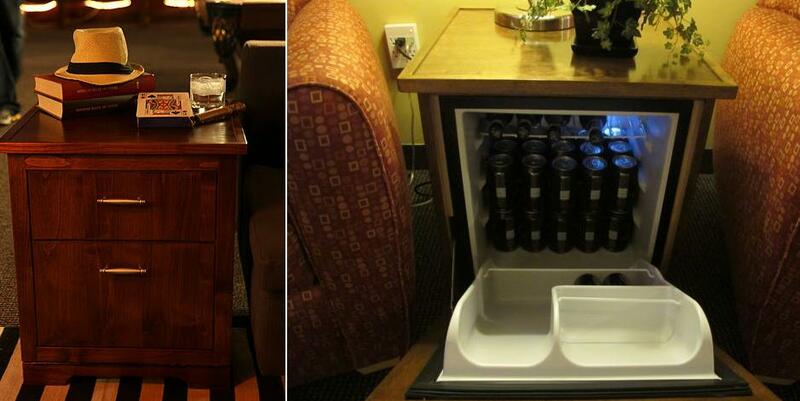 The Man Table: The Man Table - don't judge a book by its cover perfectly suits here. It may look like any other side table, but underneath this exterior is a refrigerated cooler, perfect for keeping your favorite beverage chilled by your bedside. Buy Now: $599 - $634. Zcharge: Zcharge gives storage space for your smart phones and smart devices and even recharges them. 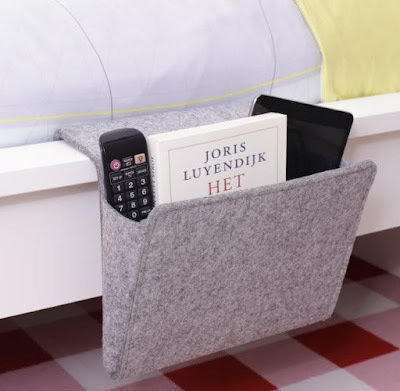 Its made from fabric, needs to be placed at the base of the mattress, and it gives you overlapping storage pouches on either side of the bed that can hold up to six devices. 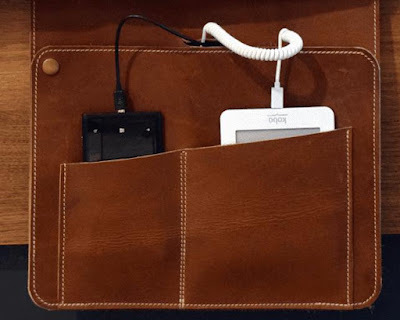 It comes with a USB hub, power supply unit and works with all USB-powered devices. Buy Now: $99.99. 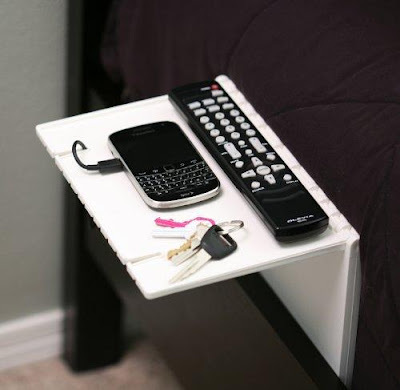 Urban Shelf: The Urban Shelf is a space saving bedside storage system for your smart phones, smart devices and other essentials; it folds flat to only 1/2" thick. Buy Now: $15.99. 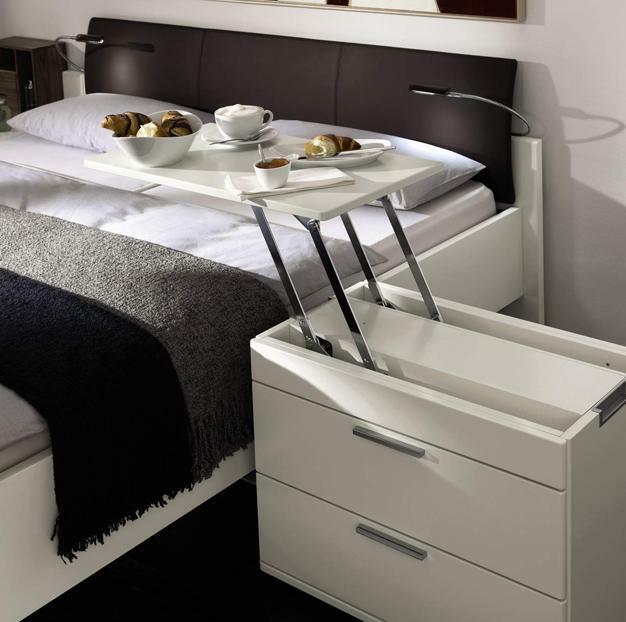 Cubix Nightstand: The Cubix Nightstand is crafted of solid poplar and engineered wood, features two drawers with undermount metal glides. Buy Now: $450. 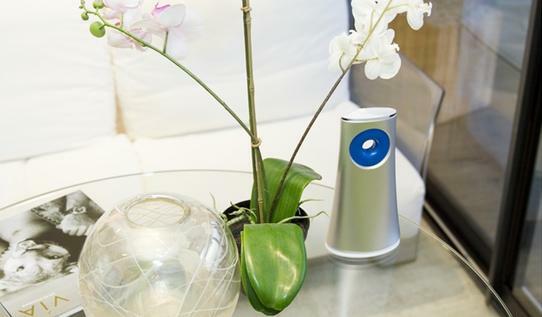 Aromacare: Aromacare is a connected essential oildiffuser that lets you program individual aromatherapy sessions for yourself or for others. It makes this easy with the need of an expert, works by activating the unit that you place inside the device. Each of these units contain a highly specific blend of essential oils, each designed for a specific purpose. 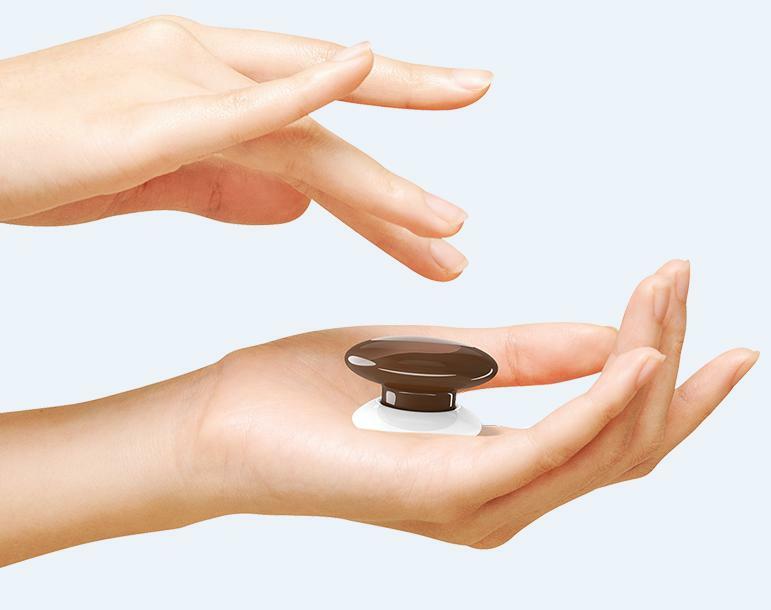 It comes with 6 designed essential oil blends and lets you control everything from your smartphone. More info. Bed Butler Bedside Caddy: The Bed Butler Bedside Caddy holds laptops up to 17", magazines, smart devices, books, smart phones, remotes, pens, glasses and more, all within reach while you rest in the bed. Buy Now: $49. 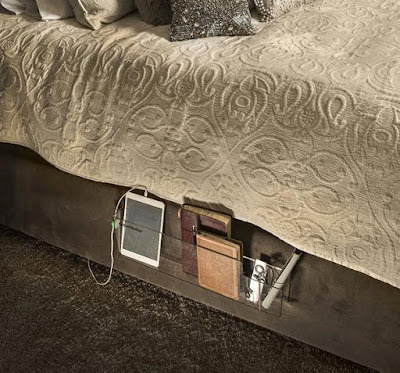 Felt Bedside Caddy: The Felt Bedside Caddy is a secure pocket that gives you a perfect place to keep all your bedside essentials safe. Buy Now: $20. 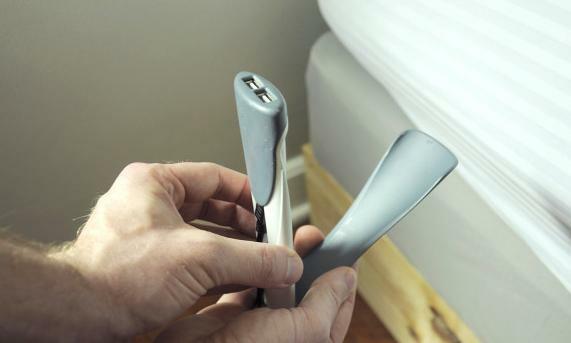 Couchlet: Couchlet needs to be placed between the mattress and boxspring using its folding elbow, and you get a recharging station by your bedside. It features 2 USB ports and a 6-foot USB cable. More info. 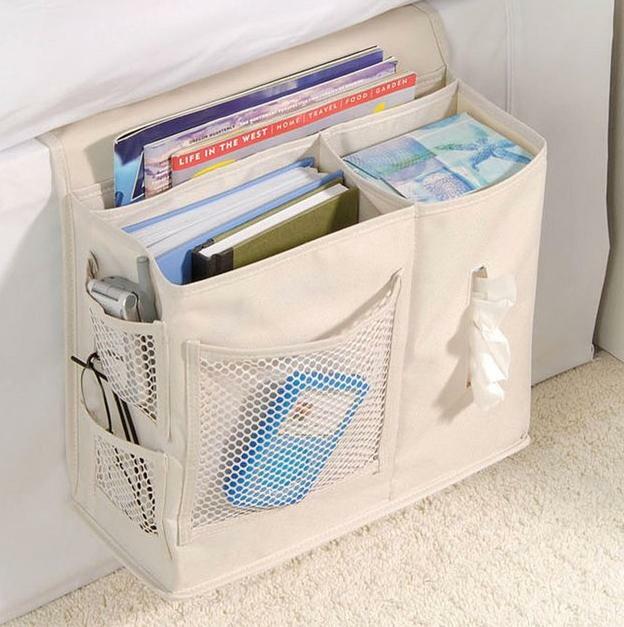 Bedside Storage Caddy: The Bedside Storage Caddy needs to be placed in between mattress and boxspring, features multi pockets and pouches for holding your bedside essentials. Buy Now: $10.